In this latest update, we’ve added some major changes under the hood to provide Buildbox users with not only faster performance but better functionality as well. We have five new features designed to improve the way you make games in Buildbox. From the Multiple Selection and Editing features to a revamped Creator Tool, it’s now easier and faster than ever to make a game using our software. The new multiple select features in Buildbox 2.3 enables quick editing with precision. Simply hold down, drag and click during editing mode to select multiple objects. When they’re selected, you can simultaneously edit them however you wish. You can quickly change multiple objects’ position, rotation, scale and more with just a few clicks of your mouse. The multiple select options give you the ability to rearrange, resize, and adjust objects how you see fit. If you’re making a platformer, runner, or any game where there’s multiple obstacles or repeated platforms this feature can be a huge time-saver. With the multiple selection option, you can speed up your editing time to quickly build out scenes. The new manipulator feature that’s integrated enables users to scale, rotate and multiply any object or multiple objects when selected in a matter of seconds. With this feature, you can avoid the often tedious and lengthy task of manually adjusting each object in your game. The multiple select and editing feature allows you to focus on the fun part of game development – actually making your game! Our previous outliner feature has also been improved and integrated into the Animation Editor for increased functionality. With the outliner, you can pinpoint exactly where each object or character in your game’s world is positioned and manipulate it accordingly. There’s no second guessing involved. You’ll always have a clear view of what you’re editing and where each asset is positioned within the game. 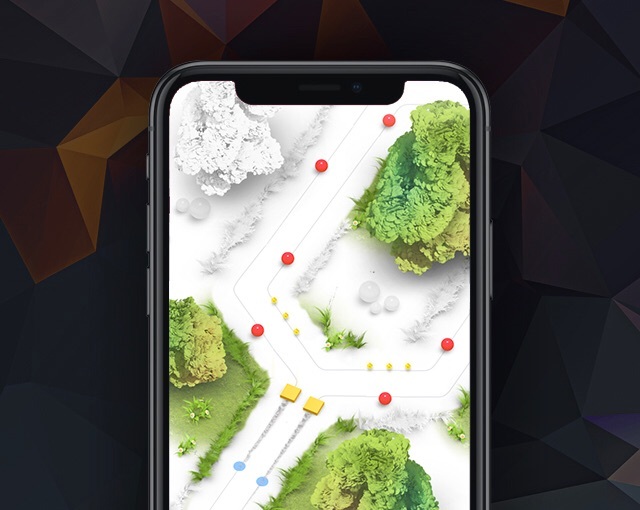 Buildbox 2.3 features an enhanced smart grid that allows you to quickly snap and connect characters or objects together in perfect alignment. 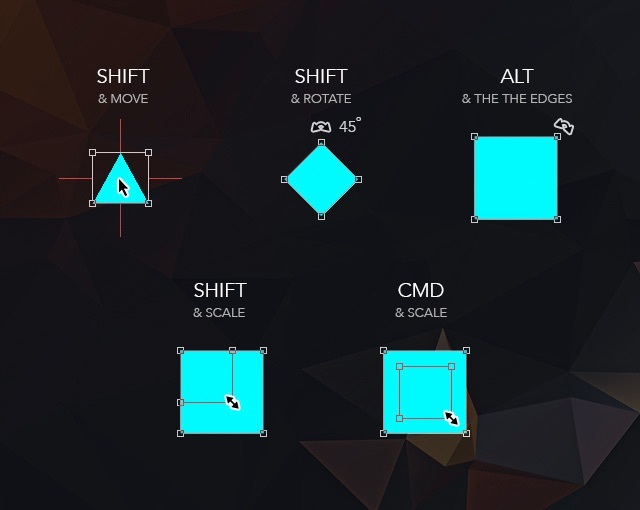 This snap grid feature provides users with an easy method of aligning and joining components together to create unique gameplay mechanics, platforms, and obstacles. With the snap grid capabilities, you can do so much more with your game. Connect characters, enemies, various objects in new and unusual ways. Join them to collide or awaken with your character gets too close. Create challenging obstacles, swinging or interactive platforms and more. Get creative in how you use this feature for extraordinary results. 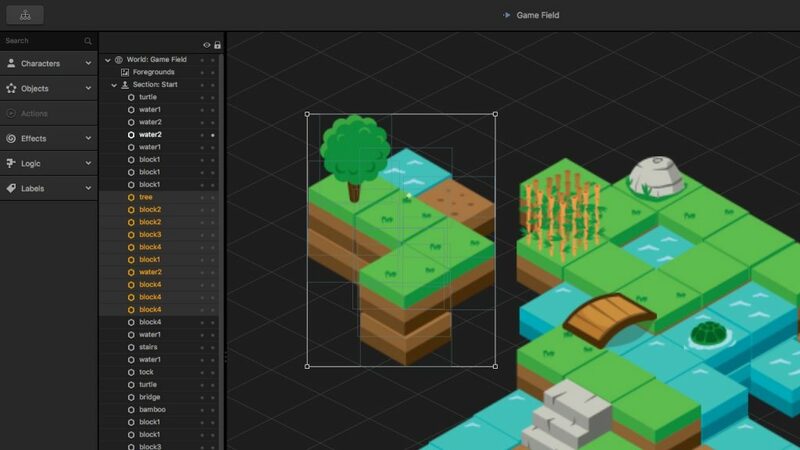 The snap grid combined with ISO features allows you to easily create your own 2.5D isometric style games within Buildbox as well. You can create visually striking games like The Pit or Ball Jump with ease. There’s no need for 3D graphics when you have these great options at your disposal. You can make incredible looking isometric style games using the snap grid and ISO features in Buildbox. 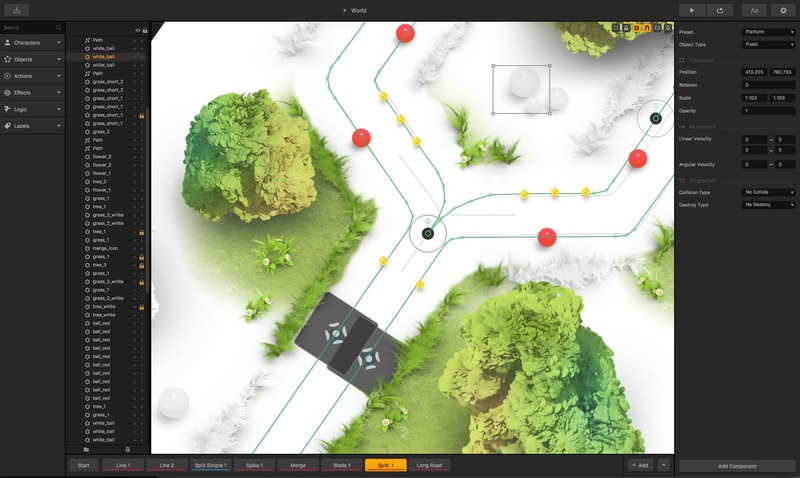 The ISO grid feature was used by Buildbox CTO, Nik Rudenko, when he was creating his upcoming game as seen in the screenshot below. We’re always working on improving and adding new features that our Buildbox users need and want. With the Buildbox 2.3.0 version, we did just that. Both speed performance and security have been enhanced. We added an internal binary format for up to 3.5x faster game load. The heighten speed provides shorter loading time for your games and a better experience for your players. 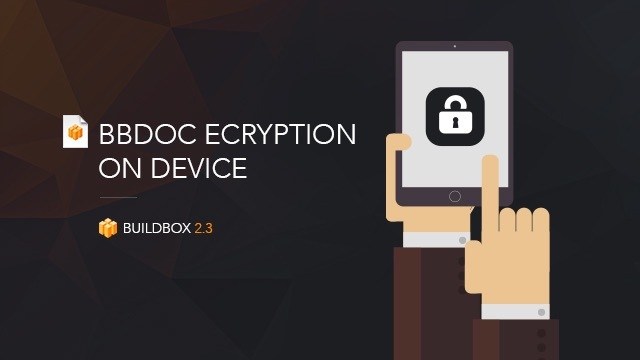 Security is no longer a concern with the Buildbox 2.3.0. either. It includes an optional encryption feature of iOS and Android data to help better secure your game. If you’re worried about others potentially stealing, copying or re-uploading your game you can integrate an encryption feature to protect your data files for both iOS and Android. This option will give you peace of mind knowing that your hard work is properly encrypted and protected. With the new Creator Tool in Buildbox 2.3, selecting your gameplay type has never been easier. Each gameplay preset now features its mini demo of the game giving users a cool preview of what’s in store. To see the gameplay type live in-action simply click or hover over the preset image. The ability to view a quick demo of each gameplay type before choosing will make the selection process easier and save you tons of time. It’s also a great feature to use to help you brainstorm better game ideas and concepts. Having a visual image of your game before you start building it can open up the floodgates for creativity. While you’re watching the demo, you can think of different themes, obstacles, characters, objects, power-ups and ways in which you can use them to make your game truly come alive. With the Creator Tool’s new options you can quickly choose the best game type for your project and have an entire skeleton of your game along with placeholders set up for you within minutes. There are currently over 40 different gameplay types to choose from in the Creator Tool. When it comes to game types available in Buildbox, there’s plenty of options. You can make a variety of games from avoidance and shooters to ISO Cubes, Swipe board and more. We also have some new exciting gameplay presets available like Break the Chain, Pinball, Rush Ball and Shape War. The possibilities are endless. This new update also features support for the latest iOS devices, like the iPhone X. Our goal is to create software that’s not only easy to use but also powerful enough to enable anyone to make a broad range of games, from simple to more complex. 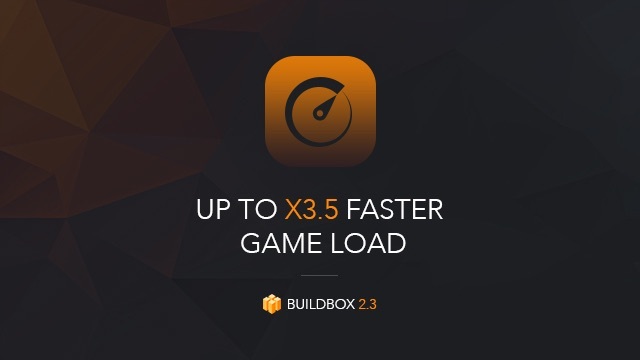 With this latest version of Buildbox 2.3.0, you’ll be able to make better games faster and in a more efficient way. You can lean more about Buildbox 2.3.0 and our new lineup of software right HERE. Please email our support team at support@buildbox.com for assistance. how I download the free version. Thank you soooo much. i am collecting money. i will buy BB one day. Please make a tutorial for android studio apk generation. And I am very curious about the test game Nik made which is shown above. Is it possible to make it with 2.3 ??? what did ALT & THE THE EDGES mean to say in the manipulator graphic above? Hi, the Buildbox 2.3.0 Release version is fantastic with significant improvements. Is there a date for the final version of Buildbox 2.3? I am using the latest version of studio just remember you need to.open the exported android file do not use import into studio once its loaded it will request certain updates like sdk.updates and malvern updates ndk and gradle updates also open terminal and type in gradlew clean once above updates have been loaded in and it will.update all the classpaths and install latest files required Mine exported signed apk without issues after the above. Hey what about android studio support and what does that mean ? Is it means that we can click export to android button and we will get an apk right there. Is 2.30 the same as 3.0 or are they different pieces of software? So you are saying the subscribers will not get Buildbox 3 as an update? You get access to all the latest versions of Buildbox as long as you are a subscriber. So if you are still a subscriber when BB3 comes out, it will be included in your subscription! Can I make a twin sticks shoot game from top down view where the camera follows the person?